Can you believe 2017's ALMOst over? For Light DJ, that means the app is turning 3 years old next month! It's been a long journey to get to this point and I couldn't have gotten there without the support of my faithful users. Let's take a look at what happened in 2017. 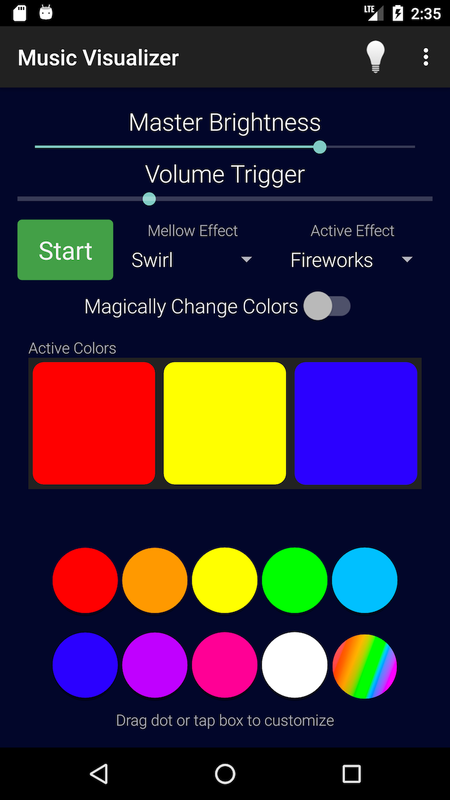 In April I gave the Android app a nice big update, adding the SceneMaker and Matrix effects and updating the Visualizer. Often when I'm designing new light controllers I'm not really sure how well the concept will work or if it makes sense to users so I design on iOS first. With the feature set now stable on iOS I was able to add all 23 SceneMaker effects and 5 Matrix modes to the Android app to bring the two apps' features sets closer together. In October I released the newest addition to the Light DJ family - Light DJ Studio. With this new app I was able to demonstrate a new concept in light shows and also solve a few technical challenges that I've faced since I started working on my apps. The app is simple: pick a song to play, then while it's playing tap along on your phone. Your taps will translate into light effects and the phone will record your taps so that you can play back your light show later. It uses Apple's new MusicKit API, which lets the app the access the Apple Music library of over 30+ million tracks. It also works with Bluetooth speakers, which sadly isn't supported on the Light DJ Pro app. This app has a ton of room to grow and I can't wait to start building features for the next major release next year. Finally, in December I made a few significant back-end improvements to the Light DJ Pro app. I added support for Ableton Link and MIDI, allowing DJs and musicians to set and control the tempo from other devices. I also integrated a new beat-matching library for much improved real-time music synchronization over the mic. If you have a specific feature request or just want to let me know what I should work on next, send me an email and let me know! I hope everyone has a safe and merry holiday season. I can't wait to see how everyone's New Years Eve parties turn out!